We Care For Your Pets Like They're Part Of Our Family! 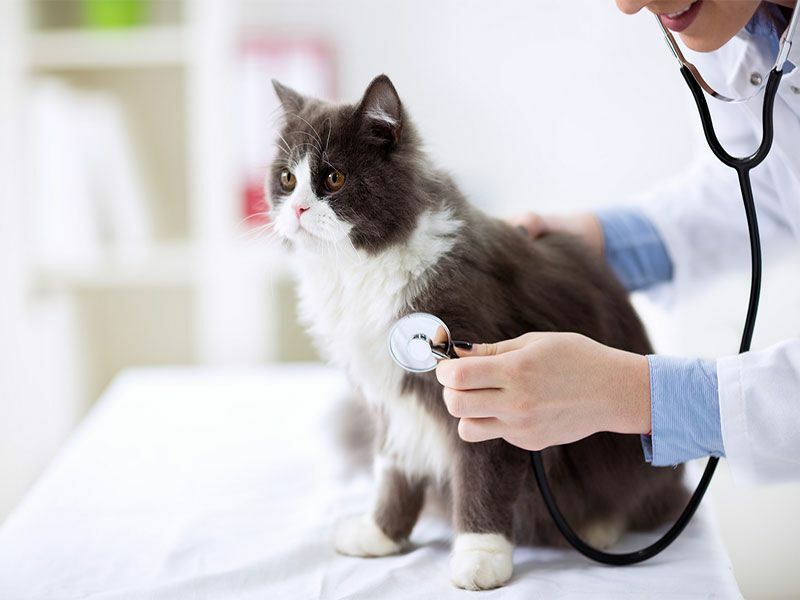 We want our clients to know it is our priority to provide the finest veterinary care to our patients and it is our goal to assure that you, the owner, are well informed and comfortable with the decisions made regarding your pets care. We strive to offer our clients the best veterinary care available. We think of our facility as a place of healing, warmth and goodwill. With a staff dedicated to attending to the best interest of both the patient and client, we strive to fulfill our mission of providing the most comprehensive veterinary care. Each veterinarian and team member is deeply committed to your pet's health and well-being. We fully dedicate ourselves to providing personalized medical care in an environment that is both welcoming and comfortable for you and your loved companion. Our facility provides a wide variety of pet products and services including full veterinary services, pet boarding, and a full inventory of pet supplies. Regardless of your pet's stage in life, we have the selection of the products to keep them healthy. Animal Care Center is a friendly, full-service veterinary clinic with a personal touch. Our "family" of team members is here to build a lasting relationship with you and your pet! Do you need pet food, treats, or medication? Animal Care Center carries Science Diet and Hill's Prescription Diet brand pet foods, as well as a selection of Purina Clinical Nutrition Management foods and Royal Canin Veterinary Diets. We also have a broad range of medications and health products to soothe common pet ailments. Everything you need to keep your best friend happy and healthy is here!